The French occupation of Indochina between 1862 and 1945. Indochina is exploited for the benefit of the French state and French businesses. The French Colonial Authorities try to crush Vietnamese Nationalism. in 1940 the Japanese Army occupy Indochina and the French Colonial Authorities work with the Japanese until March 1945. 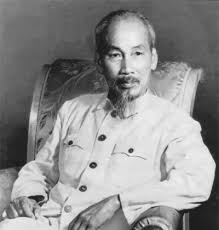 A biography of Ho Chi Minh, the leader of the Vietnamese Communists. To be released on Saturday 4th November.